Insurgent is the second novel in Veronica Roth's bestselling series, Divergent. After seeing Divergent in theaters, I immediately rushed home to reread the series (and read Allegiant for the first time). Reading the books back-to-back, I retained most of what I had read in Divergent and was able to apply it to the plot and events of Insurgent. I would recommend reading these two books together due to their intricate plots and detailed characters. After rereading Divergent, I had very high expectations for Insurgent; luckily, I wasn't disappointed and found Insurgent to be a compelling and intriguing read. As Beatrice "Tris" Prior's Dauntless initiation draws to a close, the lives of the initiates and faction members are pegged by the upcoming, inevitable war. Tris recognizes the true consequences of her actions as the book unfolds, leaving her riddled by guilt and despair. As she quickly learns, a single choice can change her life forever. The second book in any series is often a bit tricky; readers tend to either love or hate them. In this particular case, I found the middle book to be the strongest in the series (so far). 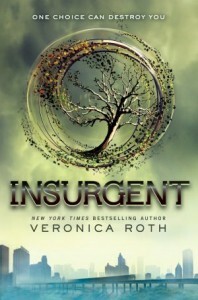 While this wasn't the case in the beginning of the book, Insurgent quickly surpassed Divergent in the final 150 pages. The ending leaves you with a jaw-dropping cliffhanger, so I would clear off your schedule and make time to read Allegiant. Insurgent picks up immediately where Divergent leaves off, jumping headfirst into the action. Roth's writing style, despite its tendency to be a bit description-heavy, immediately captivates readers. Her beautifully-crafted settings are well-developed and realistic. Her dialogue is often witty and entertaining, lightening the mood during particularly dark portions of the book. The romantic scenes involving Tris and Tobias are flawless - they're cute, yet not overly cheesy. This brings me to Tris and Tobias' relationship which is flawed and, consequently, believable. No relationship is perfect, as evidenced by their interactions throughout the book. They engage in several fights and rifts in their relationship, particularly when each weaves an intricate web of lies to "protect" the other. The lack of trust is evident between the pair, leading to several heart-stopping moments when readers fear that their romance is beyond repair. However, it always seems to make it through relatively unscathed. To make up for their frustration and agitation with one another, Roth incorporates numerous cute exchanges between Tris and Tobias. While there aren't quite as many romantic scenes in Insurgent that leave readers with a mental "Awwww," these moments are even more powerful than those in Divergent. Because they are few and far between, readers are kept waiting with baited breath to see how their relationship will progress and if it will be able to withstand the test of time. I was overjoyed to finally read a book with a strong female lead (it's been awhile, in case you hadn't noticed). While she had her moments, Tris was, for the most part, a strong, independent, and determined individual who refused to back down from her beliefs and values. She begins to view herself as a member of Dauntless during this book, realizing that it composes the vast majority of her personality and demeanor at this point. Instead of trying to break free of these Dauntless stereotypes, she embraces them proudly, placing "faction before blood." That being said, there were several instances where I was tempted to grab Tris by the shoulders and shake her. She made a few bad decisions during the book which often had negative consequences that easily could have been avoided. 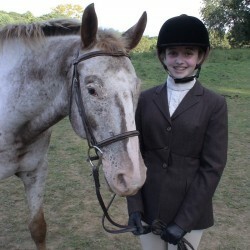 Additionally, she develops a hot-headed nature and is all too quick to defend what she believes in. This stubbornness, while present in Divergent, is much more pronounced in Insurgent. Then again, a realistic narrator must have her fair share of flaws to counterbalance his/her good traits. She never strives for perfection, which is an important quality that can be passed down in modern society. Tobias was all over the place during this book. One minute he was madly in love with Tris and couldn't imagine spending a day without her, yet the next he was furious and wanted nothing to do with her. These fickle matters overshadowed his generosity and kindness that were not initially apparent. Roth does an excellent job of gradually revealing the many layers of her characters, Tobias included. Stories of his past provide excellent insight into his emotions and personality. Therefore, Tobias is a very complex character that cannot be described or summed up in a single word. There were several moments where I wanted to shake some sense into him, but he always commanded a deep level of respect from me and the other characters in the book. The overarching themes of the novel revolve around the importance of family, grief, sorrow, loss, and unity. These are especially conveyed through the use of war propaganda and as direct consequences of the war. These realities are often watered down in similar novels, but Roth openly addresses them, similarly to how Suzanne Collins presented the violence in the arena in The Hunger Games. Overall, I tremendously enjoyed this book, with the exception of the rather large and unnecessary cliffhanger. While the ending forced me to take a trip to Barnes and Noble to buy Allegiant, it resulted in me purchasing approximately $50 worth of books. Not that I need any more books at the moment. I found both the narrative and the dialogue to be well-written and enticing. The romance between Tris and Tobias was fresh and exciting. I would definitely recommend this to anyone who enjoyed Divergent, The Hunger Games or The Maze Runner. Its compelling plot and numerous twists and turns will keep readers on their toes and anxiously anticipating the next major plot point. And now, I think it's time to read a little Allegiant.